In this review, we take a look at one of the best in its price group. So this time it is the SERAPHIM SRP-6 275w poly panel. This panel has in fact sold quite well in Australia and sales are on the up. These are a good panel from a good firm and so far we have only good things to say. There are no 3rd party tests that we can compare these Seraphim Panels with, but this is normal. But this should not stop anyone from going with them, if the price offered is right. The firm formed and named as Seraphim Energy in 2009, but got to work right away to grow their brand. 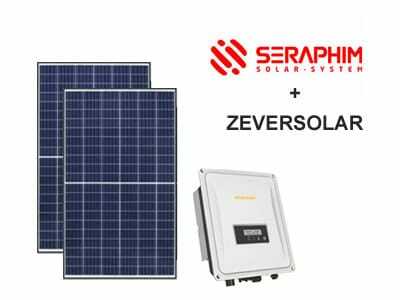 In this time, Seraphim Panels has grown, and can now make over 4GW of panels each year. Its products, seen on a wide range of projects, not just homes, are in more than 30 countries. SERAPHIM, due to their growth now have an office here in Brisbane. One of the main points for any solar firm is that they also have a branch in Aussie too. We have never had any need to make a warranty claim, so we can’t say if it’s good. But it would be hard to see it would vary from other Tier 1 makers. We see quite a few panels, so it’s fair to say this is a great Tier 1 panel. The SRP-P 275 has a price in the middle, but less than the rival Jinko product. We don't feel a buyer gives up much though, by going with these over the big brands. So at the end we rate SERAPHIM SRP-6 quite high and suggest they are a good buy.